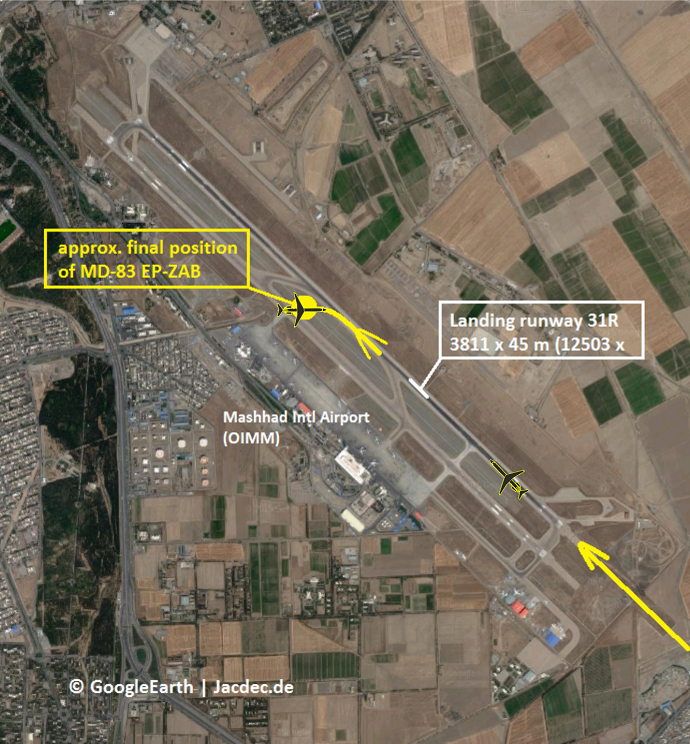 On landing at Mashhad Airport, the aircraft veered off the side of the runway where it came to rest in mud and snow. 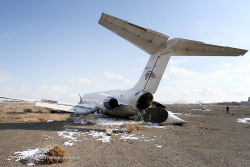 All passengers and crewmembers escaped the aircraft without injuries. 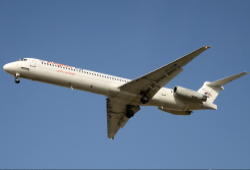 The McDD MD-83 aircraft landed on runway 31R in snowfall, when the pilots lost directional control and began to slide to the left of the runway. 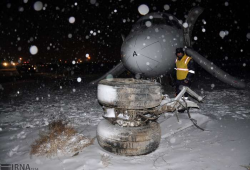 The aircraft departed paved surface sliding sideways across soft ground where its right maingear collapsed until it came to a stop about 2000 meters away from the runway threshold. There were seven injuries among all 154 on board during evacuation via chutes. The aircraft sustained serious damage of its undercarriage, both wings and underbelly, making a repair less likely. At the time local weather consisted of snowfall and temperarures minus freezing level.